Seven workers now. The brood pile has about 10 pupae left. The queen just laid a new batch of 30ish eggs, and approximately 10 are now small larvae. 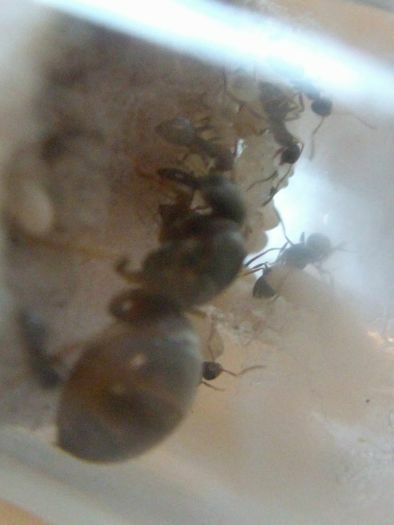 The workers' coloration looks different than Lasius neoniger. Working on a positive ID still. Edited by Mettcollsuss, April 8 2018 - 4:22 PM. The queen's loyal subjects have grown in number since the last update. 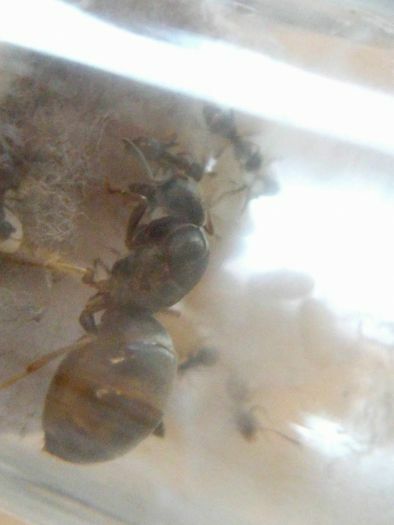 The queen looks like Lasius neoniger, but the workers look more like L. alienus. 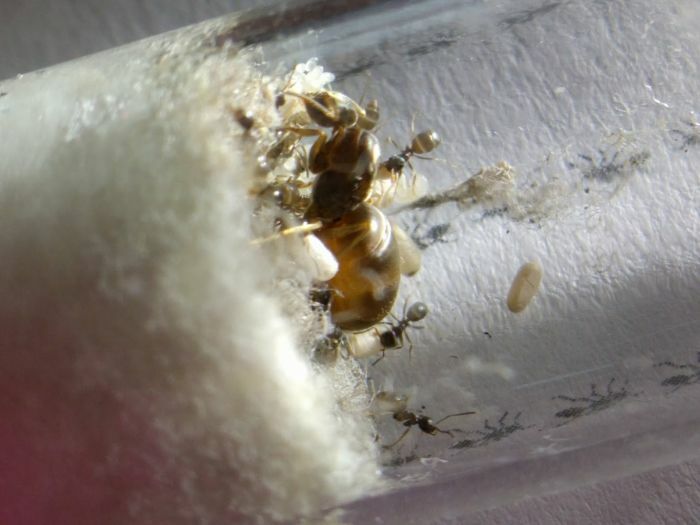 Until I figure it out, I will just call these Lasius sp. I'd say they're at about a dozen workers. starting to lean towards Lasius alienus. I find my now ~2 year old colonies will readily take fruit flies (even kill them if not dead yet) and Sunburst nectar, but still dumb founded by even tiny meal worms. 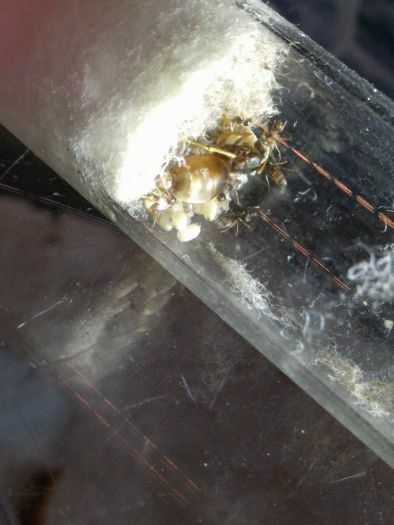 They will attempt to push/pull it into their test tube, but never quite make it in and after a couple days eventually give up on it. The meal worms are quite small (maybe .5"), so not a huge deal. 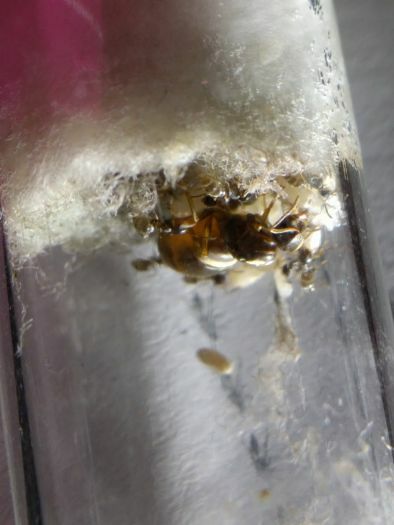 In contrast my Tetramorium colonies, with the same size meal worm, have no problem navigating them into the nest, then removing them totally hollowed out about 36-48h later. Mine are also two years old but they will tackle mature Lithobius centipedes and rove beetles. They reached about 200 workers at one point last year. 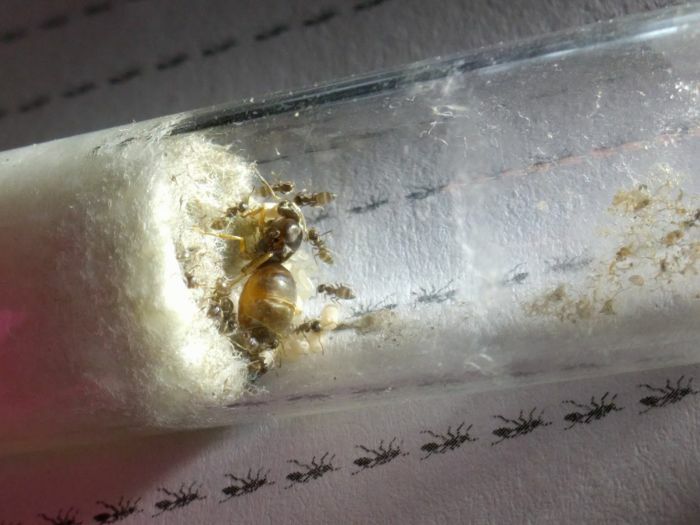 Is that really as big as the Lasius workers get? No, these are nanitics. 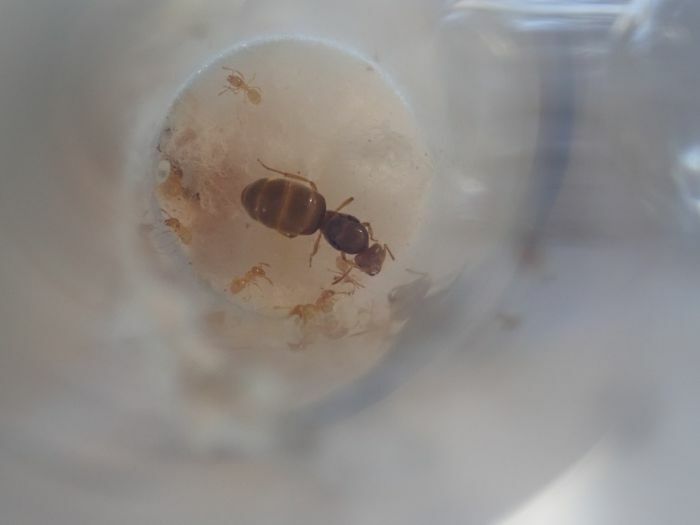 Lasius is still a pretty small ant, though. Okay good. 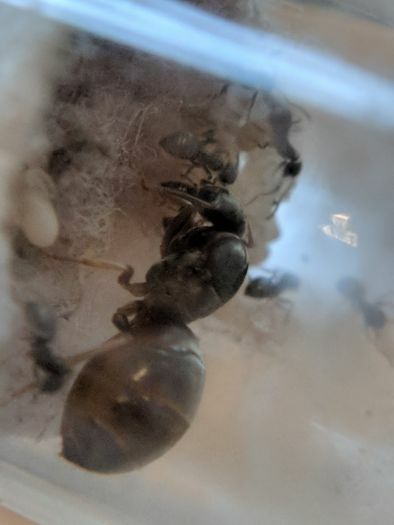 I was just curious because I also have Lasius alienus colonies. Nice journal. I move quite a bit so around seven years ago I lived in Chicago. I think I’ve finally put my roots down though. "You know you’re in love when you can’t fall asleep because reality is finally better than your dreams." They are now around 30-40 workers, but they've put so much garbage and debris on the glass it's hard to see in. How large is the queen? 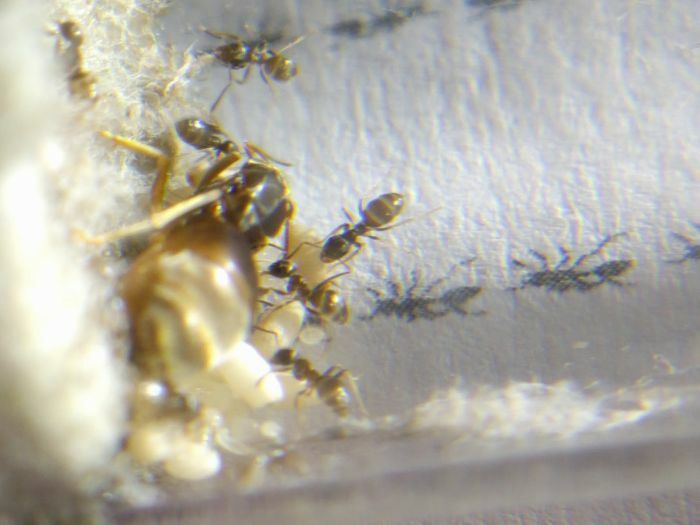 Okay, so I have 3 species of Lasius so I thought I'd just lump them all into this journal. I have the L. neoniger that this journal started with. 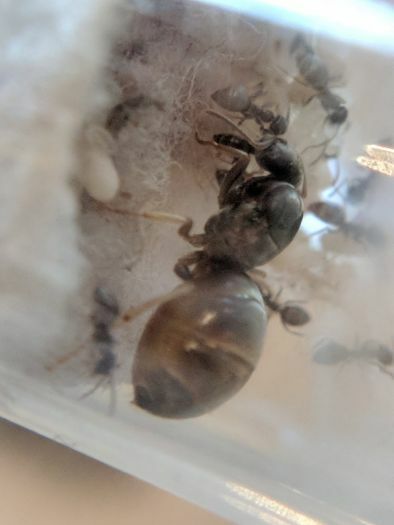 There's the L. americanus, and I have a new three worker flavus-group colony that's either L. brevicornis or L. nearcticus (though I'm leaning towards L. brevicornis). I may be selling one of the niger-groups soon, though. I'm trying to decide which one to keep and which one to sell. The L. americanus are doing a little better than the L. neoniger at the moment, so I'm kind of leaning towards them. But if anyone else has some input or suggestions, I'd be happy to hear them. For me, keep the L. americanus and sell the L. neoniger. Around here L. neoniger is more popular by far. Though TBH they both look really similar so not a big deal either way. I moved the Lasius americanus into a THA Atom formicarium. The first two days, they all huddled in a corner of the nest and didn't move. But today they're more spread out in the nest, are more active, have started to forage, and accepted the fruit fly I gave them. The L. cf. nearcticus are doing well. They have just under 10 workers at the moment and plenty of pupae. I have an extra Atom. I'm thinking of moving the L. neoniger into it before selling them. Top picture, are those mites? Edited by Will230145, January 21 2019 - 1:10 PM. I'm not sure. I'll keep an eye out, though. Thanks for the heads up! Okay, so I forgot to update this. 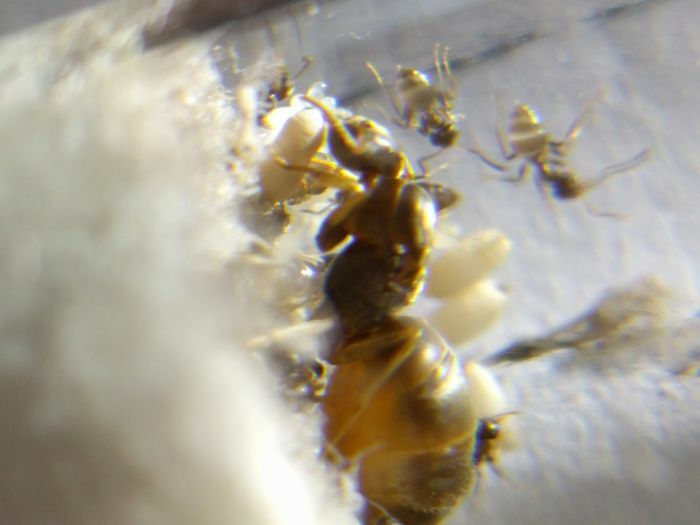 The day after the last update, I woke up to all the workers in the L. americanus colony dead. 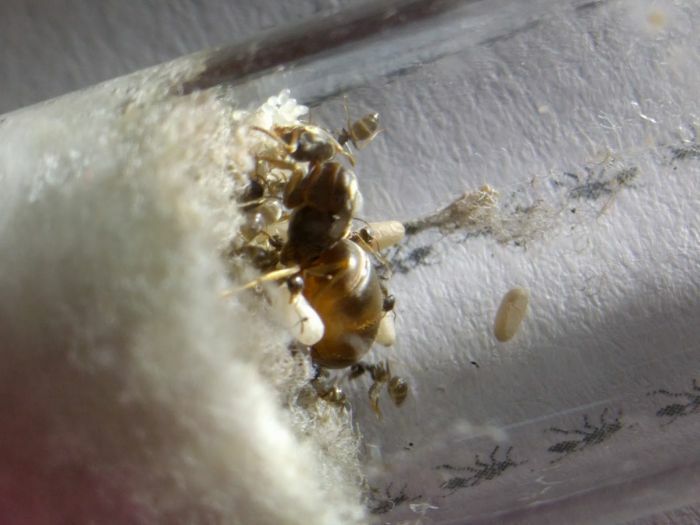 The queen is still alive, and I moved her to a test tube setup. 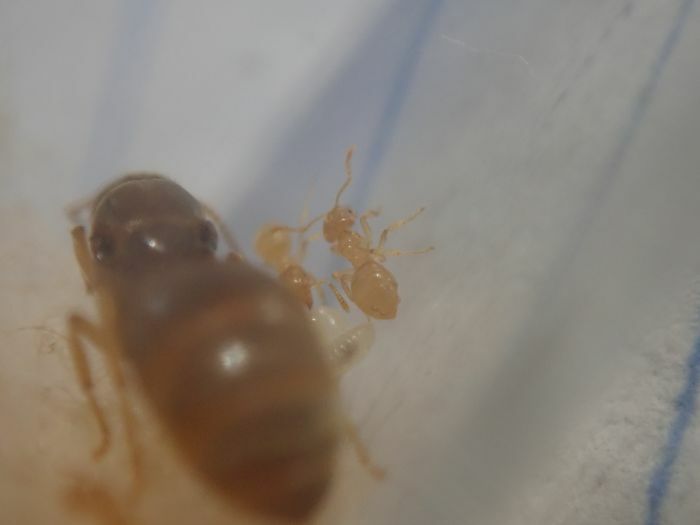 I'm feeding the L. neoniger a lot of protein to help them produce brood. 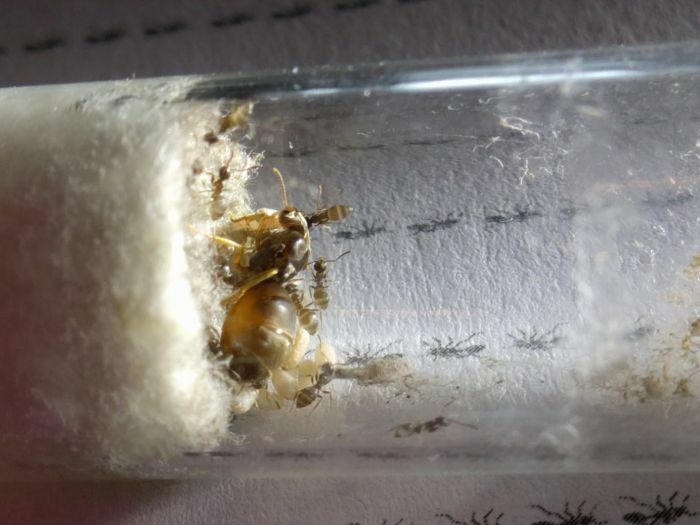 If they have enough, I can try to boost the L. americanus queen with some pupae. Hopefully this works, otherwise she'll die.